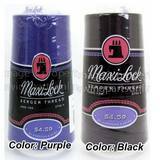 Maxi-Lock is one of the best selling serger threads on the market. Not only is it considered to be one of the best quality serger threads available, it is also affordably priced. 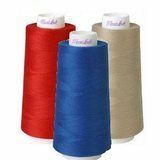 Maxi-Lock threads are as color fast and durable as serger thread used by the world's leading clothing manufacturers. 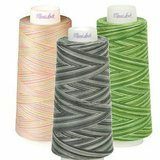 Ideal for virtually any fabric, Maxi-Lock thread is available in over 70 colors and is 100% polyester. For a pop of interest, try Maxi-Lock "Swirls", a line of variegated thread. If you have any questions, please call Sewing Parts Online's customer service department and we will be happy to help. Check out our Pinterest page to learn more about the amazing projects being completed using Maxi-Lock thread.